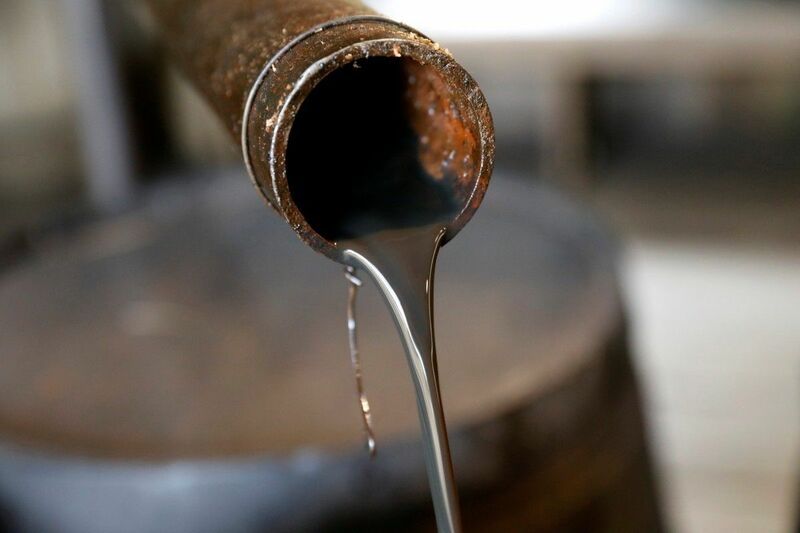 Oil prices dipped on Thursday as soaring U.S. output, fast approaching 10 million barrels per day (bpd), outweighed a drop in American crude inventories, according to Reuters. U.S. West Texas Intermediate (WTI) crude futures were at $58.02 a barrel at 0540 GMT, down 7 cents from their last settlement, Reuters said. Read alsoUkraine to simplify procedure for access to land for oil, gas extractionBrent crude futures, international benchmark for oil prices, were at $64.45 a barrel, down 11 cents. Both crude benchmarks gained around 1 percent during their previous sessions, lifted by official data showing a 6.5 million-barrel fall in U.S. crude inventories in the week to Dec. 15 to 436 million barrels, the lowest level since October 2015. Outweighing this on Thursday was another increase in American crude oil production, while a rise in gasoline stocks pointed to a slowdown in demand. The energy minister of Saudi Arabia, the world's top crude exporter and OPEC's de-facto leader, said it would take more time to rein in a global supply overhang, which was created by strong global production increases in the years up to 2015. "We expect the first few months of 2018 to be either flat or a build (in inventories) as it is typically the case with the seasonality with the oil market," Khalid al-Falih told Reuters on Wednesday. U.S. oil output is close to breaking through 10 million bpd, undermining efforts led by the Organization of the Petroleum Exporting Countries (OPEC) and Russia to tighten the market through withholding supply this year and next. U.S. crude production hit 9.79 million bpd last week, its highest since the early 1970s, the only time American output breached 10 million bpd. This brings U.S. output close to that of top producers Saudi Arabia and Russia, which pump around 10 million and 11 million bpd, respectively. Oil traders this week also eyed with interest the passing of a U.S. tax bill, which is seen to weigh on crude prices in the longer term. "The passage of the U.S. tax bill is ... a bearish long-term development for oil and gas markets," Barclays bank said. "The policies ... are likely to reduce demand for gas and oil and raise supplies ... (as) the tax bill preserves renewable energy tax credits, a tax credit for EVs (electric vehicles), and opens up drilling in the Arctic National Wildlife Refuge."